Chemistry 2018 JAC Board class 12th free board sample paper with solution of (Chemistry) is issued by Jharkhand Academic Council (J.A.C.) 2018. JAC board model paper Chemistry 2018 syllabus for class 12th is Solid State, Solutions, Electrochemistry, Chemical Kinetics, Surface Chemistry, General Principles and Processes of Isolation of Element, p-Block Elements, d and f Block Elements, Coordination Compounds, Alcohols, Phenols and Ethers, Aldehydes, Ketones and Carboxylic Acids, Organic compounds containing Nitrogen, Biomolecules, Polymers, Chemistry in Everyday life, Chemistry NCERT book class XII and JAC Chemistry 2018 answer are given below in PDF with all the important question bank for 2018 examination. J.A.C. 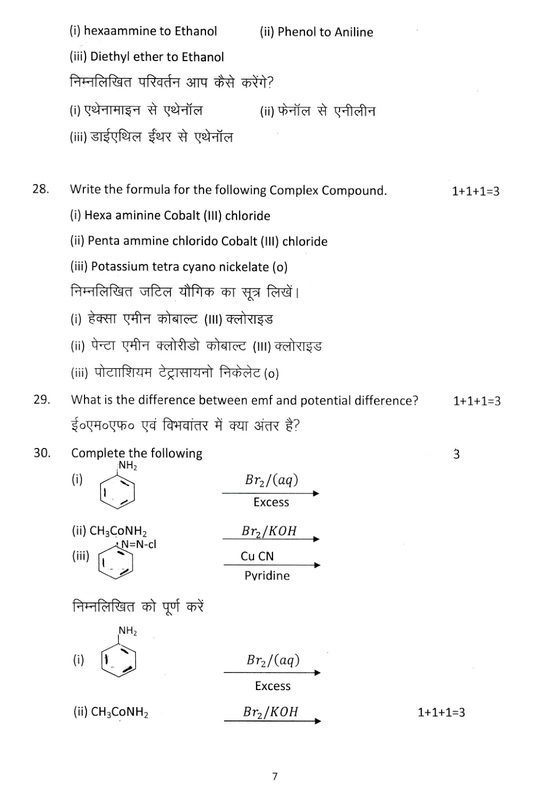 Board Class XII Chemistry 2018 Sample Exam paper Download. 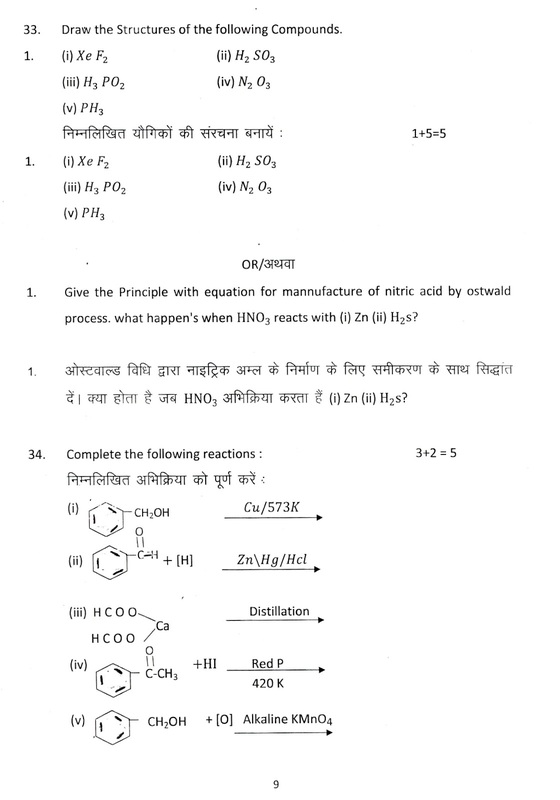 The previous year Chemistry Senior Secondary Examination (INTERMEDIATE) JAC sample question paper and solution of 2017-2018 and to upgrade your JAC examination results of 2018 practice the J.A.C. 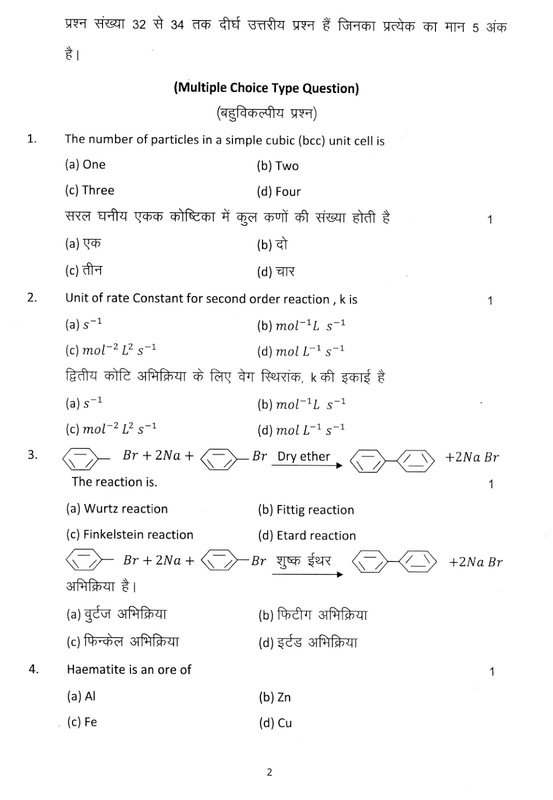 Sample exam papers of Chemistry 2018, Last 10 years Sample Paper of Chemistry Jharkhand board (Ranchi) and online model answers is available in the attached PDF sheet for students and teachers affiliated to jharkhand sate board. Download all the SET-1 paper. 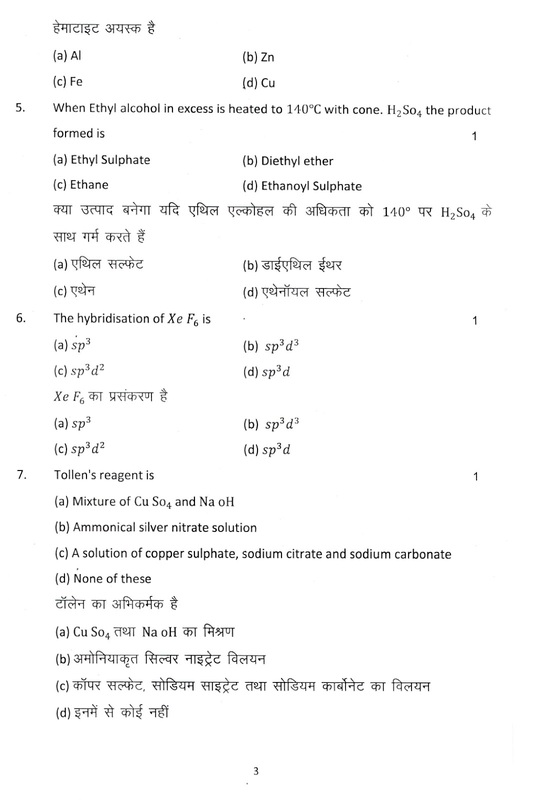 Tags: JAC Chemistry class xii question paper 2018,Chemistry class 12th 2018 question paper,Chemistry science question papers, Chemistry question paper 2018,JAC Jharkhand board class 12 Chemistry question papers with answers,Chemistry science JAC question paper 2018,12th question paper 2017-2018, JAC class xii, JAC 12, JAC 12th standard,JAC class 12 question paper 2018,class 12 question paper 2017-2018,JAC question paper for class 12 2018,JAC sample paper of Jharkhand board question papers for class 12 2018,sample question paper for class 12 Chemistry ,JAC sample question paper,JAC class 12 sample question papers,JAC XII Chemistry question paper,xii 2017-2018 JAC question papers,JAC 12th board Chemistry question paper 2018.